We are proud to announce that Dr. Staci Frankowitz has been named a "2018 Jersey Choice Top Dentist" in New Jersey Monthly. This is her fifth consecutive time being chosen by her peers! Look for her in the July 2018 issue. We are also pleased to announce that Dr. Staci Frankowitz was chosen as a "favorite kids doc" in New Jersey Family magazine for 2018! This is her fifth consecutive year being chosen by our patients! Furthermore, we are proud to announce that Dr. Staci Frankowitz was chosen by her peers as a USA Top Dentist for 2018! This is her eighth consecutive year of being chosen by her peers! 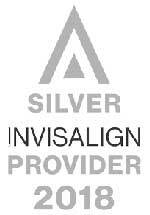 Dr. Frankowitz is a 2017 Invisalign Preferred Provider and a 2018 Silver Invisalign Provider! Dr. Staci B. Frankowitz, orthodontist, thanks you for visiting the Frankowitz Orthodontics Website. Our office is conveniently located in Teaneck, New Jersey of Bergen County. We serve patients in Teaneck and all surrounding areas including Bergenfield, Bogota, Closter, Dumont, Englewood, Fair Lawn, Fort Lee, Hackensack, Leonia, New Milford, Paramus, Ridgefield Park, Tenafly and other towns. In addition, we treat patients from adjacent areas in New York such as Manhattan, Monsey and Washington Heights. We are dedicated to providing the BEST orthodontic care for children and adults. Our goal is to bring the perfect smile to every face we meet! There's no underestimating the benefits of a beautiful, healthy smile. It can boost self-confidence and help you make a great first impression. We offer a broad range of treatment options, including metal and clear braces, Invisalign®, Invisalign® Teen, use of Temporary Anchorage Devices (TADs) and Surgical Orthodontics (orthodontics in conjunction with corrective jaw surgery). We also do interceptive (early) orthodontic treatment when it is needed. Recently, we have introduced a new technology called AcceleDent®, which can reduce your orthodontic treatment time by up to fifty percent! It has also been found to decrease any discomfort associated with orthodontic treatment. Be sure to ask us about this amazing device! At Frankowitz Orthodontics, we feel you are more than just a patient – we treat you like family! Dr. Frankowitz and our experienced team work together to provide personalized, quality care in a relaxed environment. Did you know that the American Association of Orthodontists recommends that all children see an orthodontist no later than age 7? We offer a complimentary consultation, so call us today to schedule your appointment.